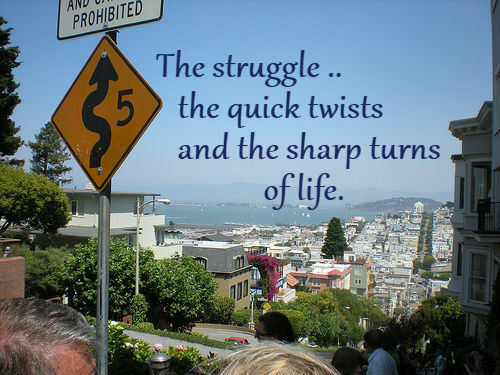 the many twists and turns of life as the earth revolves each day. We struggle just like the Israelites struggled on their journey of 40 years through the desert. It’s one of the reasons why I like reading Exodus, Numbers and Deuteronomy. But that struggle becomes easier when I keep my eyes focused on God. His truth is the solid ground I stand on every day. His love heals the hurt in my heart and fills the empty places. His purposes fuel my efforts and give me strength. His total control helps me give up mine. His faithfulness that has no end reminds me to be faithful. I have a choice. I can grow through the struggle or I can become bitter and stuck. I choose to grow and move forward. We love you, Abba Father.